Option to get a FREE VPS for 1 month! Like what you see in the Windows VPS hosting reviews above? Our experts compiled the following summary table of VPS plan highlights to help you choose the best Windows server for your project quickly and with confidence. As you review each hosting provider and their offerings, consider Windows OS versions, setup times, and storage in addition to pricing and our expert ratings. Looking for something other than windows vps hosting? Virtual server hosting for Windows can get a bit hazy, huh? Let's cut through the cloudy marketing jargon. Navigating the web host shopping experience can go one of two ways. The first route takes you on an exhilarating adventure in which you set out to find a server for a one-time, short-term project and wind up 80 miles north, embraced by the welcoming arms of a host you can call home. Route 2 is that 1990s family road trip gone wrong — where there’s no GPS, dad won’t ask for directions, and you wind up in no-man’s land suffering through a vending machine dinner. There is no in between. Fortunately, it’s 2019, and you have us to guide you through your pre-purchase journey. Today’s adventure takes place in the wilds of Windows hosting, and the first stop on our itinerary is the best VPS Windows hosting provider. And we’re off! When you inevitably notice a recurring theme among our reviews, now you’ll understand why. The best Windows hosts have honed in on what makes a pleasant VPS hosting experience for hosting customers who prefer the legacy Windows operating system. These are typically web app developers and folks who specifically need to use Windows-only programs, like Visual Basic, so the web hosts that made the cut here have zeroed in on those users’ needs. Few of the most popular hosts even offer Windows hosting, and even fewer have gone on to perfect it. Let’s take a look at the all-stars in this particular hosting niche. If you’re looking for best-in-class VPS hosting for Windows — the most reliable and powerful, yet cost-competitive, essentially the Lexus of the server world — Liquid Web is king. The host touts state-of-the-art hardware, on which you can install your choice of software, including operating system. All VPS plans come with the peace of mind of managed services and, of course, the around-the-clock attention of the Heroic Support® team. Accommodating up to 5,000GB of bandwidth, Liquid Web’s fully managed virtual servers are ideal for fast-growing and highly trafficked websites and apps. Develop in your favorite language or environment, such as ASP.NET or Visual Basic; enjoy the blazing-fast storage performance of ultra-reliable SSDs; and you can count on the supreme uptime rates retained by the Liquid Web system administrators and staff. Maybe you’re more of a Honda Civic class of server hosting shopper. 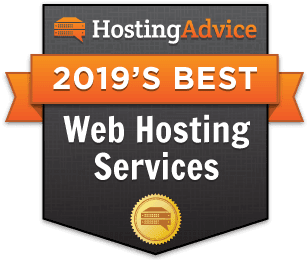 We recognize that not everyone is interested in or willing to blow hundreds or thousands of dollars on an experience, even a stellar web hosting experience. We kept budgetary concerns in mind when choosing our favorite hosts for affordable virtual servers. Bringing free SSDs, full root access, and your choice of Linux or Windows operating system, 1&1 offers a ton of VPS bang for just a few bucks a month. While this particular web host may be most known for shared servers and domain hosting, we found that the 1&1 Windows VPS offering is cost-effective and feature-rich. It’s a bargain in Windows-friendly virtual server hosting, and the team is constantly innovating new in-house technologies to extend their server functionality and optimize their customers’ hosting experiences. A few friends of mine are big on leasing their vehicles. “I don’t want to worry when things go wrong; I just want to send it back,” one co-worker said of her 2016 Ford Mustang with all the bells and whistles. As someone who has owned and driven the same tried-and-true Dodge Durango for eight years, leasing a sports car was never for me, but I can certainly see the perks of having certain things managed for you. I consider managed VPS hosting services akin to leasing a vehicle. You handle the software, as you would take care of gas and routine oil changes, while your host maintains the infrastructure in the same way the dealership would take care of any major body maintenance. Sure, it costs more, but for many folks it’s way worth it. All that to say, Liquid Web managed VPS plans are like renting a sports car for your road trip. Beginning with the free migration services and instant provisioning, Liquid Web’s VPS offering presents a white-glove service and a stress-free hosting environment. While you manage your website or web app’s development, Liquid Web will handle operating system updates, server patches, and spontaneous bug fixes. Your fully customizable Windows server is in good hands — and all Liquid Web’s Windows VPS plans are backed by a 100% uptime guarantee. Consider Our Windows VPS Hosting Comparison Your Server Tour Guide — Good Luck! We’ve come to the end of our tour of the best virtual server hosts for Windows OS fans, and I hope you enjoyed the journey! So, will you be driving old faithful as you hit the road on your VPS getaway? Or will you be renting a shiny new sports car of a server for the occasion? As you map out your trip, plan which features to pack, and consider the best route for your family or business, be sure to keep our experts’ findings and ratings in mind. In fact, you can go ahead and bookmark our host reviews now, and refer back to them the next time you’re ready to hit the road toward a new hosting home. Happy trails!